What is fair wear and tear for your rental property? What is fair wear and tear in my rental property? Q. Which dilapidations is my tenant responsible for? A. 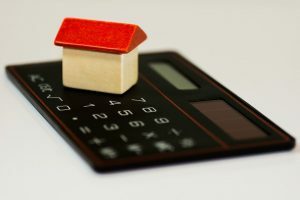 Calculating a fair amount for dilapidations at the end of a tenancy can be a thorny issue and there are many misconceptions about what can and cannot be deducted from the tenant’s deposit. One of the main issues is defining what is ‘fair wear and tear’. The House of Lords defines ‘fair wear and tear’ as ‘reasonable use of the premises by the tenant and the ordinary operation of natural forces’. But what does this mean in practice and how do you define ‘fair wear and tear’? 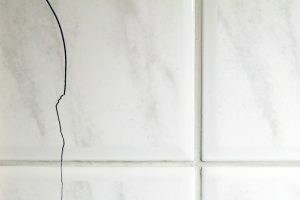 In general terms, ‘fair wear and tear’ can be considered to be minor damage or wear that has happened gradually over time during normal use by the tenant. This could include worn furnishings or carpets, small scuffs or marks on walls or wooden flooring, minor chips or scratches on a kitchen work surface or a loose door handle. A landlord cannot deduct the cost of these things from the deposit as it would be unreasonable to expect the property to be in exactly the same condition at the end of a tenancy as it was at the beginning. Some landlords think they can use the tenant’s deposit to make general repairs like these but legally this cannot be done as the deposit belongs to the tenant and more often than not it is held, either by the landlord or the agent, as ‘stakeholder’. Repairs and maintenance will need to be carried out whether the tenant occupied the property or not, so their deposit cannot be used for this purpose. Then there are issues which are not considered to be ‘fair wear and tear’ and are in fact damage that has been caused deliberately or through carelessness by the tenant. These would include a burned or badly stained carpet, badly scratched work surfaces (maybe caused by a knife) or severely damaged wood floors (perhaps caused by moving furniture), a broken window, a lost key or a stain on the ceiling caused by an overflowing bath or sink. This type of damage which has been caused by the tenant through misuse or neglect can potentially be claimed from the deposit as can items that are missing. So, for example, if a kitchen tile has a minor crack, this would probably be seen to be fair wear and tear. But if the damage was, say a deep gouge caused by dropping something heavy on a marble work surface, this would not. And if a dining chair, part of a set, is irreparably broken, the landlord could claim a proportion of the cost of replacing a single chair – but not for the whole set. There is sometimes a misunderstanding amongst tenants too about what they are responsible for. For example, tenants can be surprised that items like lightbulbs are their responsibility to replace. And they should be left in place when the tenant leaves. We generally charge the tenant £5 per lightbulb to replace missing ones at the end of a tenancy. Another common issue is cleaning. The standard of cleaning can be a very subjective issue. A tenancy agreement will usually state that a property must be cleaned to a professional standard – but how do you define this? This may vary according to the original condition of the property but generally it means cleaning to a very high standard. 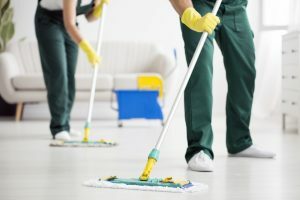 Some guidelines might include hoovering or mopping floors, dusting and cleaning all surfaces and furniture, cleaning windows and doors, cleaning the kitchen including inside appliances (including the oven), defrosting the freezer, cleaning the bathroom and making sure there is no mould or other signs of condensation and generally ensuring all spaces beneath furnishings and fixtures are swept and clean. Often a tenant will instruct a professional clean but not realise that they must specify if they want carpets, upholstery or curtains to be included – most cleaning companies will only hoover if not instructed specifically to steam clean – which comes at an extra cost. Tenants may also argue that they have the property cleaned regularly and that they instructed their cleaner to carry out an ‘end of tenancy’ clean so everything should be in order. 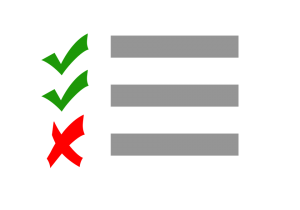 But often the cleaner simply does their usual domestic clean – this is fine if it is carried out to a professional standard but if not, this will be reflected in the check-out report. If a full, professional clean then needs to be carried out, the tenant will be charged extra. For example, a domestic clean of appliances (especially ovens) would be a simply wipe down while a professional clean would be much more thorough. Similarly, a domestic clean of a showerhead would be a wipe over while a professional would descale it and clean it thoroughly. 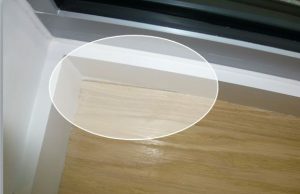 The tenant should present a detailed invoice from the cleaner at the check-out to prove the work has been carried out. Last year, a dispute occurred when a tenant gave notice to leave his property and he continued to pay rent but moved out nine weeks before his lease expired. He had the property professionally cleaned on the day he moved out and we began to market the property. A new tenant was found a few days before the previous lease expired and, after nearly nine weeks, a further clean needed to be carried out to get rid of a lot of new surface dust. Who was responsible for this further clean? The tenant of course as he was responsible for keeping the property clean until the lease expired, regardless of when he moved out. Of course, he didn’t agree with this but we had to invoice him for the work! Using the letting agent’s vetted cleaning company at the very end of a tenancy will help the tenant avoid being charged for a second clean. 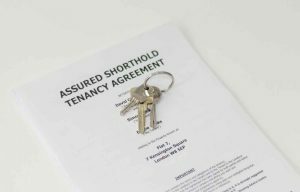 The tenancy agreement should outline the landlord’s and the tenant’s obligations, setting them out clearly so that tenants are fully informed. The tenant should be clear as to what they can and cannot do. It might include actions to be taken by the tenant to avoid common problems such as condensation, with advice such as opening windows regularly for ventilation. If the tenant doesn’t do this, the landlord could seek to deduct the cost of repairing any damp patches or mould caused as a result. Another good example would be if a drain has been blocked by nappies or wipes – which should not be flushed down the toilet. A good managing agent should warn tenants in advance that this constitutes ‘misuse’. The tenancy agreement will also include specific clauses as to whether the tenant can keep a pet at the property – if this is allowed, it may mean the tenant paying for a deep clean when they leave. It is important for landlords and/or managing agents to keep email trails to confirm whether warnings and advice have been issued and whether the damage could have been avoided. What other factors determine whether something is wear and tear or damage? How old is the property and what condition was it in at the start of the tenancy? Is it a new-build apartment in perfect condition or a much older, period property that was perhaps not in immaculate condition at the start of the tenancy? How long was the tenancy and how many people lived in the property? Clearly, the length of time the property was occupied is a key factor. Wear and tear during a five year tenancy will be much greater than during a six month period, particularly if no regular maintenance (such as redecorating) has been carried out during this time. The number of people living there will also have an impact. A family of five with young children, say, will inflict far more wear and tear than a single, young professional who is out working most of the day. If there is damage, what is the most appropriate course of action by the landlord? Purchasing a replacement for a damaged item is not always the most appropriate course of action. First, the landlord should see if it is possible to repair or clean the item. If, for example, a stain cannot be removed, the carpet may still be useable. The stain could be covered with a rug or a piece of furniture. The landlord would then claim a sum as compensation instead. Betterment; if an item does need to be replaced, a landlord must replace it ‘like for like’ and not be in a better position than previously. So, let’s look at an example of a two-year-old carpet that is irreparably damaged and needs replacing. A typical calculation would be that the original cost was £500 and this carpet might reasonably be expected to last five years. Therefore, the residual lifespan is three years. Depreciation is worked out at 500 divided by five – £100 per year – multiplied by three. So, the apportionment of cost is three years x £100 = £300. The landlord can therefore claim £300 towards replacing the carpet. The important point is that they cannot make a profit from the action. It is down to the landlord to prove that the tenant has damaged the item through misuse. This might involve employing a contractor to determine whether this is the case and giving a quote to repair the damage. Of course, these are not easy calculations and if you use a managing agent, they will take care of the maths for you! Determining whether something is wear and tear or damage is not always easy. How deep does a scratch need to be to be classed as damage rather than wear and tear? This is where the inventory comes into its own. It should be extremely detailed, containing details of all furnishings, fixtures, décor and flooring and their condition. This should be accompanied by photographs and any existing damage recorded. This is signed and agreed by both parties. We provide a check-in carried out by an independent inventory company – this is signed off by the tenant when they move in. A thorough check-out should be carried out when the tenant leaves. This can be compared to the original inventory and any wear or damage recorded, comparing it with the original photos if necessary. Each case must be looked at individually to determine whether the issue is wear and tear or misuse. Assessing dilapidations can be a bit of a minefield and calculating how much can be claimed for damage often involves using a mathematical formula. We have systems in place to make these calculations to avoid any dispute at the end of a tenancy. This is included in our property management service – for more information, please email our property management team. If my rented property is burgled, who pays for the damage? Buying a Leasehold apartment – what do I need to be aware of? Can I gift property to my children as part of my Inheritance Tax planning strategy?